Free UK mainland delivery. In Stock. 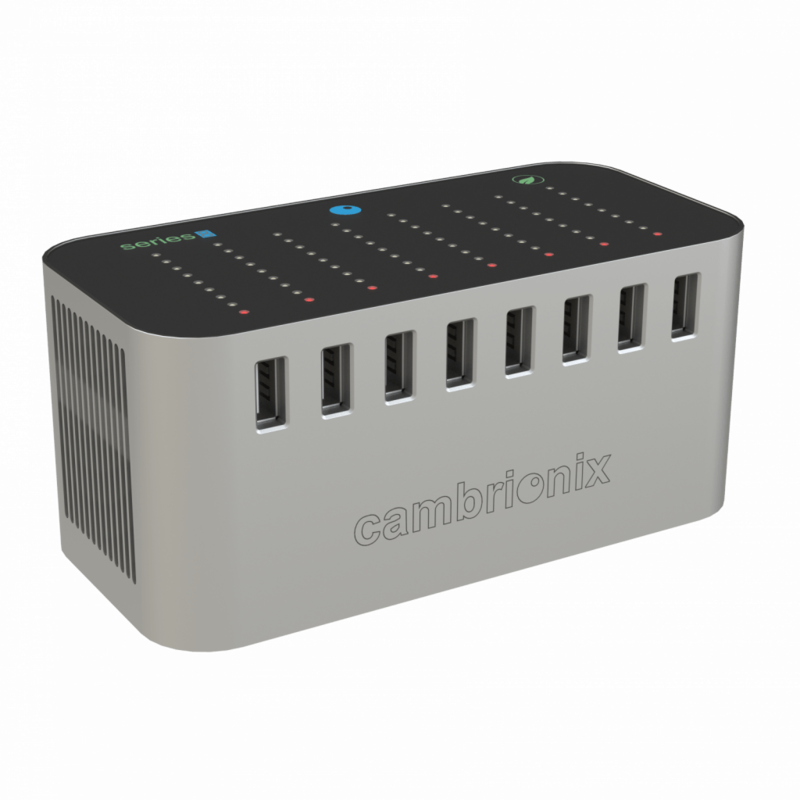 A highly attractive and desirable intelligent 8-port USB Charge Station suitable for home and office use. The Series8 charger is compatible with any device that requires charging via USB cable. 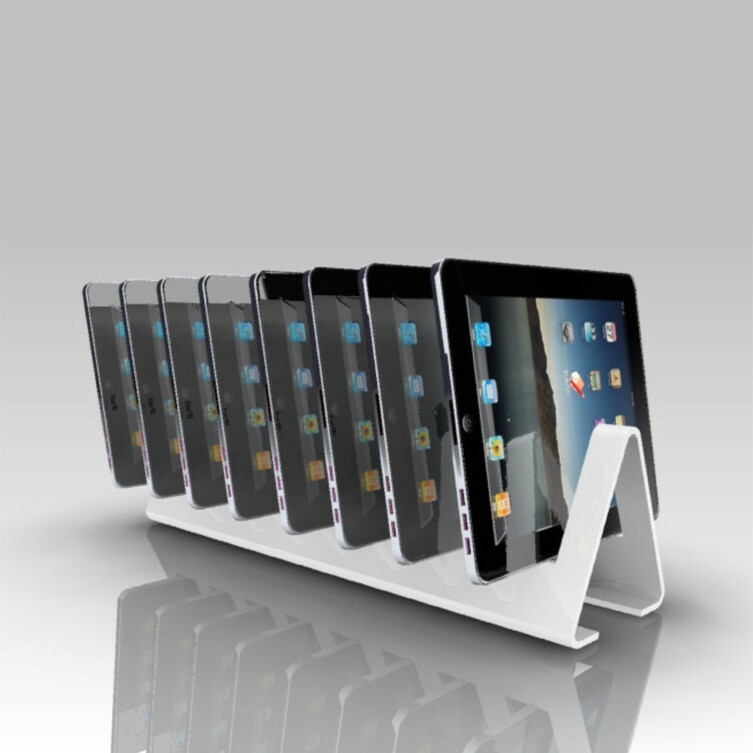 Ideal for families or offices with multiple devices such as iPads, iPad minis, iPhones and iPods, Nexus, Galaxy tab or similar, the Series 8 will charge a mix of devices to their full rate of charging up to a total of 55 watts maximum. An iPad typically consumes 10 – 12 watts each and an iPhone 2.5 watts. 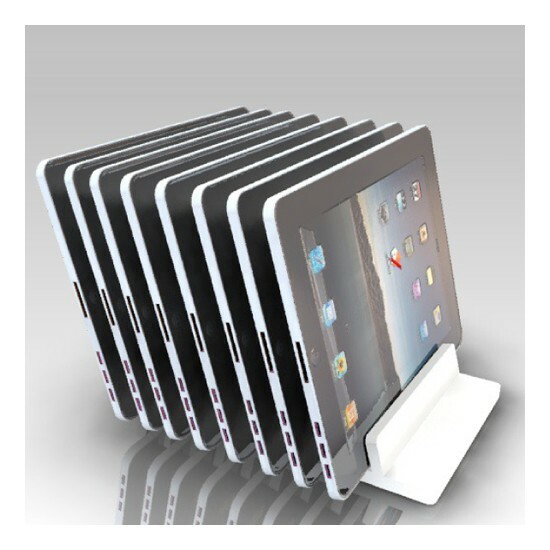 Therefore a series 8 is able to typically charge 4 iPads and 4 iPhones at the same time. 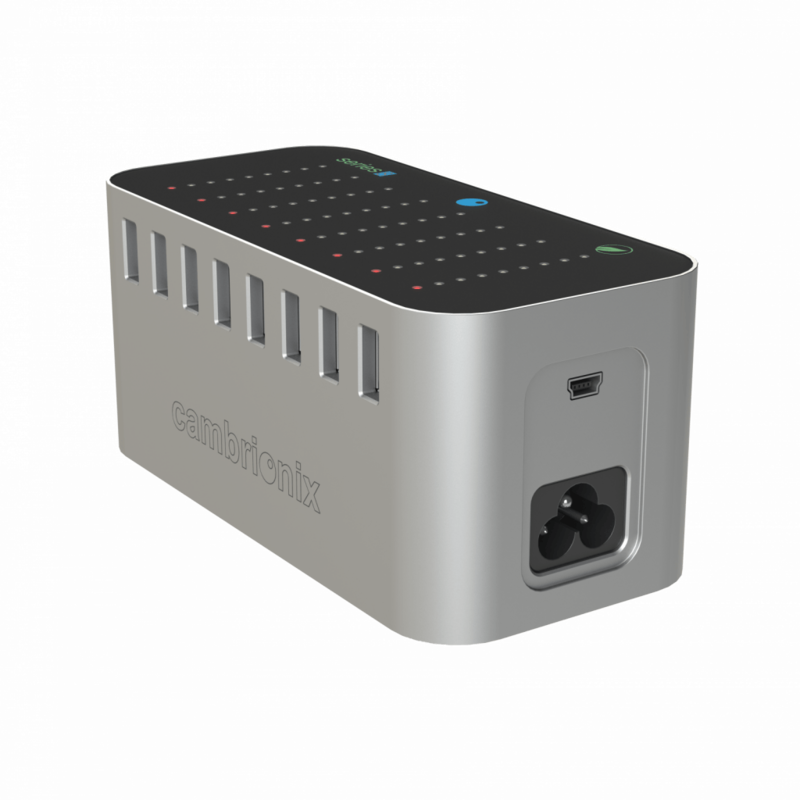 The intelligent engineering inside ensures that no matter what devices are plugged in, each will receive the correct voltage, delivered at the optimum rate for the device being charged. For example, an iPad will receive 2.1A and an iPhone will receive 0.5A – the Series8 “profiles” each device before delivering the charge. 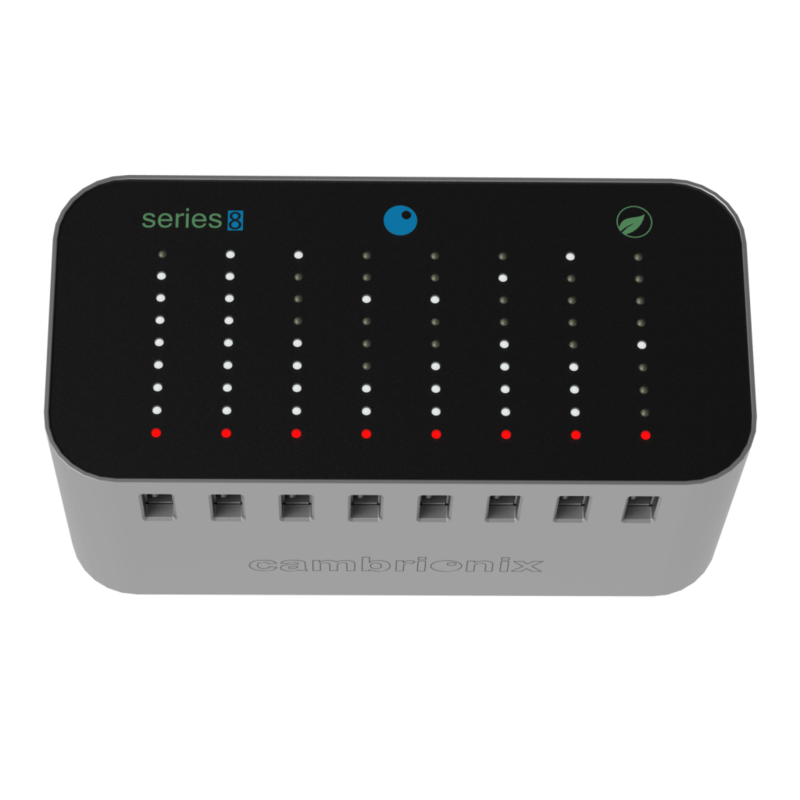 The Series8 is a sturdy, mobile device with a single lead, making it the perfect choice to help reduce clutter and cable hazards. The lights on the unit show devices are being charged but can also be switched to an attractive “party mode” during which they become responsive to sounds in the vicinity and flash accordingly. Comes with UK mains input cable. Other mains input cables available, please contact us for details. 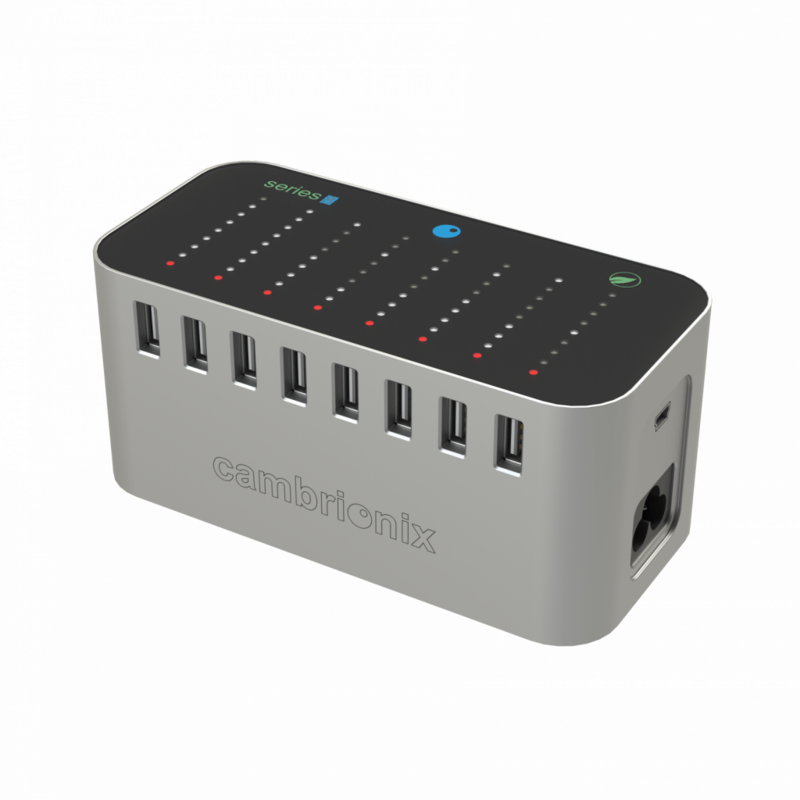 The Series8 Universal USB Charger is compact and stylish and can charge up to 8 devices simultaneously, making it the ideal choice for home, office or boardroom use.